The poster for Down a Dark Hall. Uma Thurman playing the creepy headmaster of a mysterious school is almost reason enough to be interested in Down a Dark Hall. Luckily the movie, based on the YA novel by Lois Duncan, has more going on than just that. 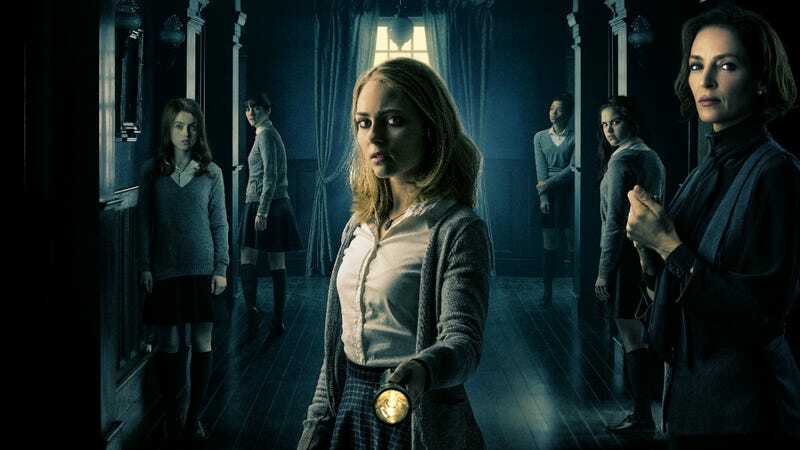 Directed by Rodrigo Cortés, Down a Dark Hall stars AnnaSophia Robb (Bridge to Terabithia) as a young woman sent to the Blackwood Boarding School. The school only has four other students though, which is weird. The headmaster is obviously keeping some secrets, which is weirder, and worst of all, there’s definitely something lurking in the dark. The film is produced by several people, among them Stephenie Meyer and Wyck Godfrey. Meyer, of course, wrote the Twilight novels and Godfrey heads up Temple Hill, which is responsible for not just the Twilight movies, but the Maze Runner franchise, The Fault in Our Stars, and Love, Simon. You know, basically most of the YA hits of the past decade. This trailer doesn’t feel like that, though. It feels more like a traditional horror film and looks pretty damn good. If it somehow successfully blends horror with the heart of a YA movie, it could be a winner. 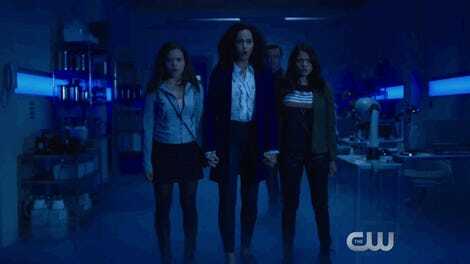 Down a Dark Hall, which also stars Lost in Space actress Taylor Russell and Orphan’s Isabelle Fuhrman, opens August 17.